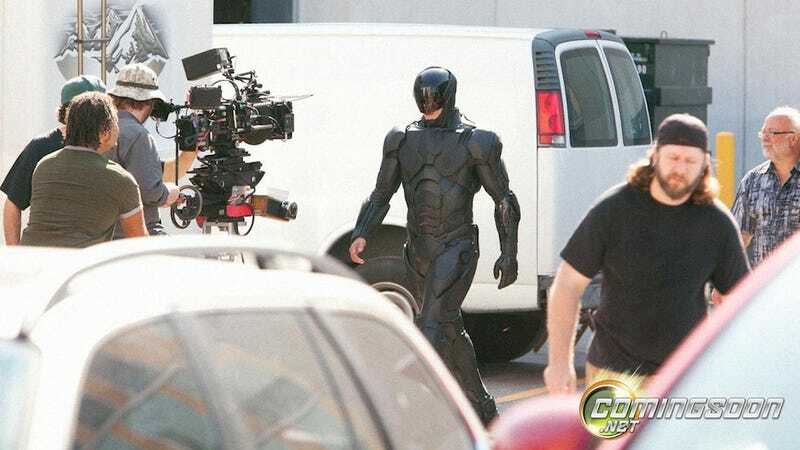 Oh Hi There, New RoboCop Suit. You Look Sort Of Mass Effect-y. This new image of the new RoboCop comes via ComingSoon.net—looks pretty cool, and actually kind of like a suit of armor from Mass Effect. It's worth taking into account that this suit could just be a placeholder for some special effects, since it wouldn't be a remake of a beloved 80's Sci-Fi movie without a metric fuckton of CGI ladled on everything like marmalade. But who knows, maybe this really is what RoboCop will look like in the new film. The teasers do seem to suggest that the dude'll be darkly colored now, instead of silver. Do you even care? Has it finally gotten to the point that you're out of remake-anger and have just acquiesced to the fact that they're going to remake literally everything from the 80's and make it worse? Can we already begin to dread the inevitable crappy video game tie-in? Is there any chance that a new RoboCop will actually be good? Feel free to discuss that, or anything else you like, here or over in the Talk Amongst Yourselves forum. It's a big week for video games—hope you're having as much fun as we are.